No one seems to remember Waldot on Middlewood Rd, this is now Guilders, it was owned by Walter and Dorothy Dungworth and I think John Dungworth who was at Guilders may have been their son. They used to sell NSU and Reliant sports cars, when they closed it was a caravan dealers for a few years. Law Bros used to sell Moskovich and Lada and their was another Lada dealers on London Rd I think it may have been Hinchcliffes, also in the 60's Brookland Volvo was in the Berkeley precinct on Ecclesall Rd and later moved to roughly where the Peugeot dealers used to be at the bottom of Ecclesall Rd and became Lex Brooklands. 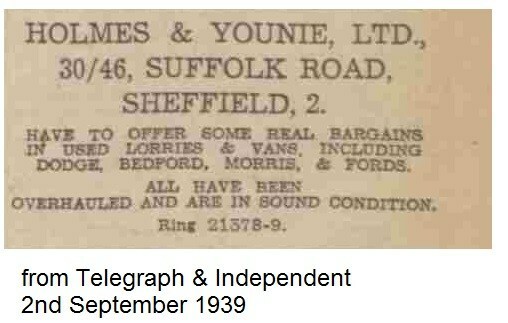 Does anyone remember the Toyota dealer just off West St may have been Deighton Motor Co on Rockinham St. 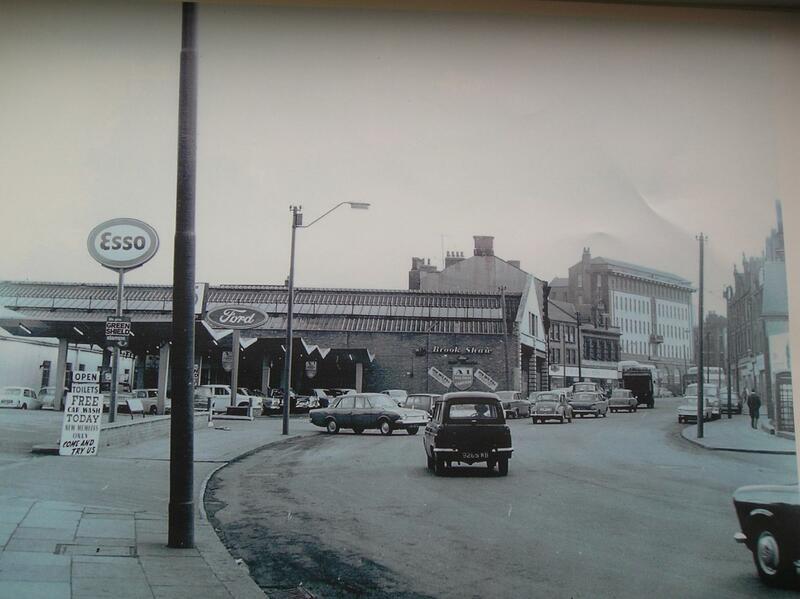 There was also a ford dealers at Sheffield Lane Top either Brook Shaws or T C Harrison's, this was eventually levelled after some years of being derelict and DC Cooks opened Direct Cars selling British Leyland/Rover group cars, this was pulled down when Netto built their shop on the site. Have just remembered the name of the Toyota dealer on Rockinham St it was Portland Autos this was early 1970's also I believe that Law Bros were Wartburg Knight dealers in the early 70's. The original Turret Motor was opposite the Somme Baracks off Glossop Rd I believe there is now a Drs surgery on this site now. Slightly off topic I know, but Charlie Brown's, opposite the Wednesday ground, has two columns with circular platforms on top. Was there something on the platforms at one time? I've only ever seen them as they are now. The only thing they remind me of is the place over Doncaster way that sold 3-wheelers, and had one either on the roof or on something like this. Im sure Cooks had a depot at the junction of Herries rd. & pennistone rd. 70s time seem to remember leasing from there. My dad and i bought most of our cars off good old Fred Wilson at Hillsbro, that was untill his son took over ! I worked at meadowhead during 66-67 while there the company found themselves in financial difficulties and the name changed to Ernest Brocklehurst and son ltd.Roootes models were Hillman, Sunbeam, Humber,Singer and Commer - May have missed some out.They had interests at Chesterfield and london road at one time.Remember the T.V add jingle,You can always thrust the car you bought from Brocklehurst's of Sheffield. Portland Autos were the first Datsun dealer in the U.K. D.C Cook were at one time the most successful sadly it did'nt last.Another datsun dealer was Meersbrook garage who in the seventies also had a branch at Hoyland on millhouses road . My friend's dad was manager at Law Brothers (Leppings lane) in the 60's. I think they had the DAF car dealership for a while, in the early days of them being sold in Britain. didnt Law Bros run coaches from just above Claywheels lane ?was it from the Sportsman pub Peniston rd north. My dad was a driver on the coaches (charrabangs i think is the proper term) had many a free trip to Blackpool as a kid Bobbin up and down like this. Might have missed it but what about Hoffmans where Champs is now on Ecclesall Rd? Brocklehursts at Meadowhead were opened in 1960. Diana Dors performed the opening ceremony. She was accompanied by, her husband at that time, the comedian Dickie Dawson. you can always trust the cars you buy at Brocklehurst's of Sheffield"
The middle line was faded & a voiceover proclaimed: "Every car personally guaranteed by Ernest Brocklehurst!" The whole jingle was performed in a mid-atlantic accent which was typical of early 1960s adverts. I don't suppose anybody has a photo of Brocclehursts at Meadowhead ----? I think that the coaches used to run from the big yard in front of the Travellers Inn, just up the road from Claywheels Lane. In the fifties I think the coaches were owned by Hurst & Sweetings who garaged them opposite the Holme Lane tramsheds. The yard is now used by Hawley's Tyres and car owners have all on to drive cars through the narrow entrance. In the days when they used to drive the coaches through, it used to hold up the traffic on Holme Lane for 10 minutes at a time while they shunted back and forth. Hi hilldweller, you are correct it was the Travellers Rest that the coaches departed from but im sure Law Bros was written on the side. My dad was a part time driver for them George Howson. Thats the way to do it! I've been doing a bit of research and it seems that Hirst & Sweeting only had about three coaches. I have a distant memory of walking past a load of coaches parked in front of the Travellers on my way with my family to Wadsley Bridge Station for a day at the seaside. I thought that the coaches belonged to H & S but perhaps some of them were on loan to Law Brothers. Apparently Hirst & Sweeting were bought out by Sheffield United Tours in 1967 before SUT in turn were bought out themselves a couple of years later. I traveled on coaches a lot as a kid because my grandad was an official at one working man's club and a near neighbor was an official at another. Hence at least 2 trips each year. At that age I wasn't interested in who owned the coaches, only the five bob spending money and the daft luggage labels we all had to wear, ( If found return to ****** coach park by 6pm ). you are right about Hirst & Sweeting and the depot was on holme lane .The old grey cells are starting to work again it was all along time ago but good memories .thanks for the info,David Tingle thats the way to do it ! Brook Shaw's new premises were used by the GPO some time in the 50s. I can recall an Alfa Romeo dealership on Scotland Street but can't remember the name. Also there was a Renault dealership just off Halifax Road near Wadsley Bridge and again cannot remember their name. Going back much further wasn't there a manufacturer of cars down Club Mill Road. Law Brothers on Leppings lane, or were they only coaches? Mazda dealer on Ecclesall Road?